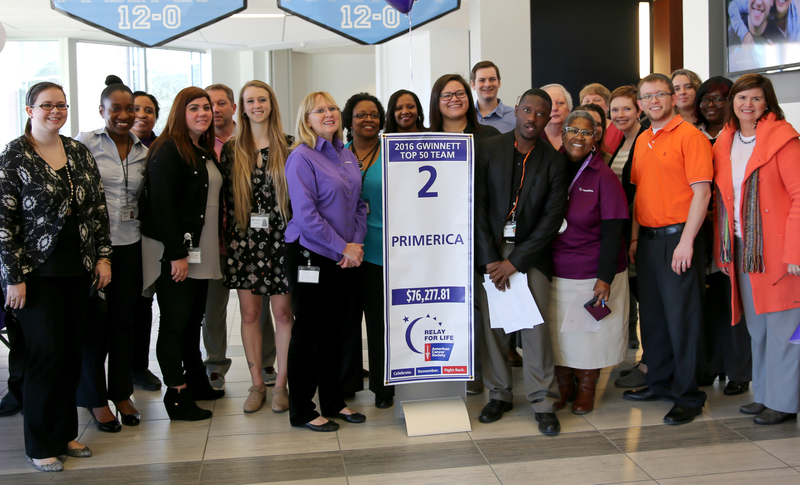 This is the sixth year Primerica has been a presenting sponsor for the annual American Cancer Society fundraising event in Gwinnett County, GA. This year, the Primerica Home Office team set a goal of $50,000 to reach by the Friday, May 12 event. The team has already received a $35,000 sponsorship donation from The Primerica Foundation. For more information on this year’s event or to donate, go HERE. This entry was posted on Wednesday, March 22nd, 2017 at 9:38 am	and is filed under Primerica. You can follow any responses to this entry through the RSS 2.0 feed. You can leave a response, or trackback from your own site. First capital realty Inc. -owner license agent, Mss. Lia Fianglao Orchangon not to withdrew my support with Primerica life. However I’m more on investment or job Pro life. AGF ltd. Agree the own and manage the Royal Bank canada sister company owned 50 percent Bank of America. In canada Trust for RRSP -Pension -# One source Mains street apartment rental owned and manage by real estate life Primerica and others. AGF ltd.